الخيار الأفضل للحصول على المتعة والاسترخاء، فندق أمورا، ويلنجتون يقع في منطقة رائجة من أفضل مناطق المدينة. يسهل الوصول إلى هذا الفندق ذو 5 نجوم من المطار، فهو يبعد عنه مسافة 8. Km فقط. إن سهولة الوصول من الفندق إلى المعالم السياحية الشهيرة الكثيرة في المدينة هو استثنائي بحد ذاته. يقدم فندق أمورا، ويلنجتون خدمات لا غبار عليها وكل أشكال اللياقة وحسن الضيافة اللازمة لإسعاد ضيوفه. تتضمن الميزات الرئيسية في هذا الفندق: خدمة الغرف على مدار الساعة, مجهز لذوي الإحتياجات الخاصة, مكتب الاستقبال على مدار الساعة, مرافق مخصصة لذوي الاحتياجات الخاصة, تسجيل وصول/خروج سريع. في الفندق غرف نوم يتجاوز عددها 192، كلها مجهزة بعناية وجمال وبعضها مزود بـ تلفزيون بشاشة مسطحة, مكيف هواء, تدفئة, خدمة الإيقاظ, مكتب. إن مركز للياقة البدنية هو المكان الأمثل في الفندق للاسترخاء وتفريغ طاقتك بعد نهار طويل. مهما كانت أسبابك لزيارة المدينة، فإن فندق أمورا، ويلنجتون هو الخيار الأفضل لإقامة مثيرة وممتعة. يتوفر مكان انتظار السيارات على أساس "من يأتي أولاً يُخدم أول" مقابل رسم إضافي. في حالة عدم توفر خدمة انتظار السيارات، يُسعد العقار مساعدتكم في التوصية بخيارات بديلة. This is a lovely hotel, my room was beautiful and spacious. The staff were very good and the dining experience was wondeful. The location of course is excellent, overlooking Wellington harbour. I will stay there again for sure. My stay was just amazing but the booking through Amora was NOT what was advertised on their website, nor what I booked. I was not happy about this, However the hotel bent over backwards to meet my requests which I had printed off and took with me, thank goodness. Very good. We went to Wellington for the Tattoo and so it was the perfect location. The staff were very solicitous. Only not so good thing was waiting 20 min for the bacon to arrive, middle service at breakfast. They must have know the hotel was fully booked but made no additional prevision for the number of guests on Level 9.
for 2 people who come from a small town, we we made to feel right at home, we were treated with respect and the staff were so nice. we had room service at our time there and nothing was a problem. the room was fantastic and we both enjoyed or stay. if we ever get the chance again to go to Wellington , this would be our preferred choice to re book. Stay was spoilt by the noisey air conditioning unit which meant a room change. Second room was only a little better. Impossible to use a/c at night. The system needs to be updated. Hotel is not the most modern but rooms are good. Food and staff in Club Lounge excellent as were staff at front desk. Very pleasant stay. Just some of the finer points with regards room service were lacking. Such as ordering a boiled egg served in a egg cup and not being given a spoon to eat it with. Ordered dessert, again no spoon. Room service food only just warm. Forgetting the ice bucket I ordered. Great. Have stayed at this hotel a few times in the last few years. I have to say it is looking rather faded and some of the furniture looks like it needs to be replaced. Not quite as nice as it was a few years ago. Perfect location, excellent staff and meticulously clean. We originally had a noisy room due to location of central air conditioning in corridor outside door but when I requested a room change it was immediately sorted and nothing was too much trouble. Had a very quiet room in the end and had a great stay. 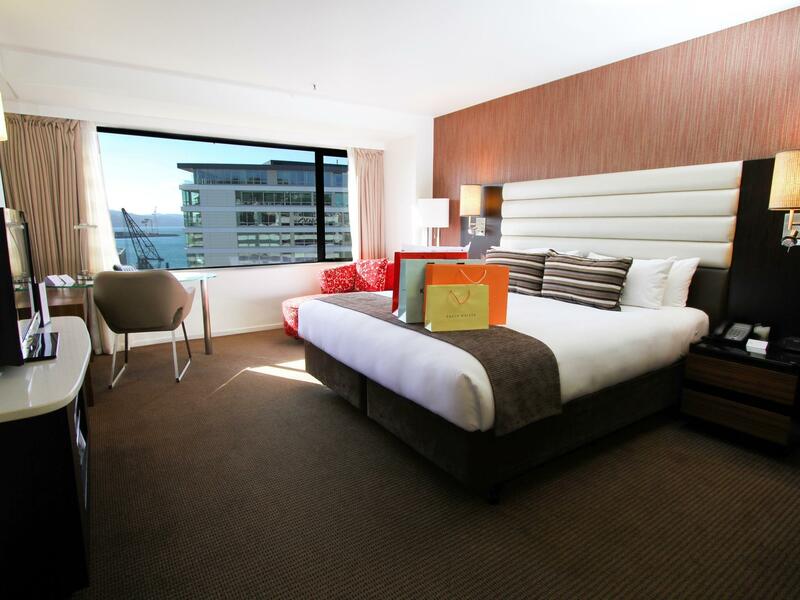 As always, staying in a club room at the Amora leads to a city break that ticks all the boxes! Start your day with a small but delicious assortment of breakfast foods, in a private and quiet dining area away from the usual early morning bustle. The waitresses are smiling and attentive, happy to engage in conversation (or not) depending on your mood. Step into your private lift and view Wellington harbour as you descend. After a busy day in the city, return to your peaceful room, catching some courtesy refreshment From the Club Lounge as you pass through. Then, partake of some pre-dinner drinks and canapés, before heading back out for dinner on the waterfront - perfect! I might quibble a little about the 5-star rating given the somewhat dated look of the bathroom but, like the room itself, it was huge and had everything we needed. 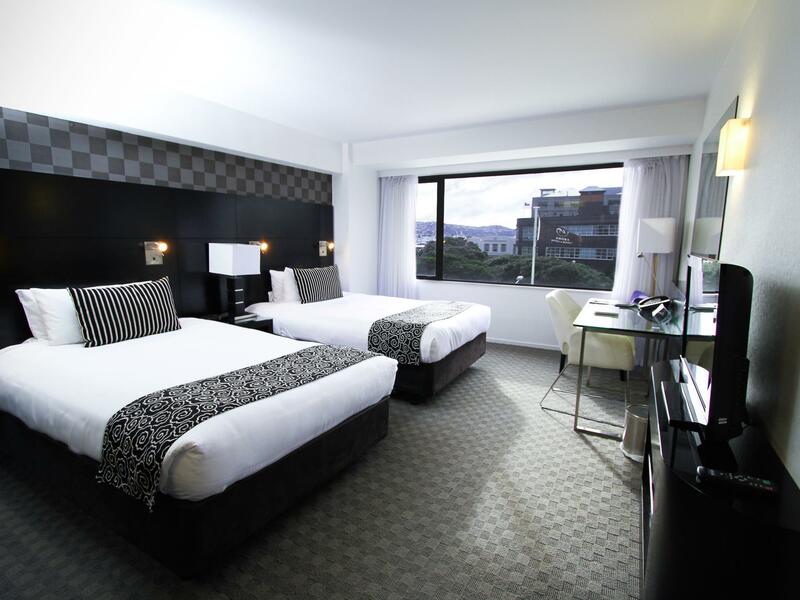 The bed was crisply made and ultra-comfortable, the provision of robes and toiletries was what one would expect, the location is perfect (Te Papa, Cuba Street, etc., all right there) and the service was unfailingly efficient and friendly (an adapter, an umbrella for a very rainy Wellington night, etc.). As for food, we had only a club sandwich in the bar while waiting for our shuttle to the airport so can't comment beyond that but that was good, too. Only quibbles would be the verrrry slow Internet at times and the dearth of channels on TV (unless one paid for a movie). We loved the location and views of the sea and foreshore.It was great to stay in a hotel where doors didn't bang all night and you couldn't hear the lift going up and down.Also the fridge was silent which is usually a problem.The staff were really friendly and helpful.The standard of cleaning was very high.On the downside the airconditioning was unacceptabley loud,the matress was very hard and the bathroom was in urgent need of an upgrade.The handbasin had a large crack in it,there was no heated towel rail and the shower had very poor pressure. 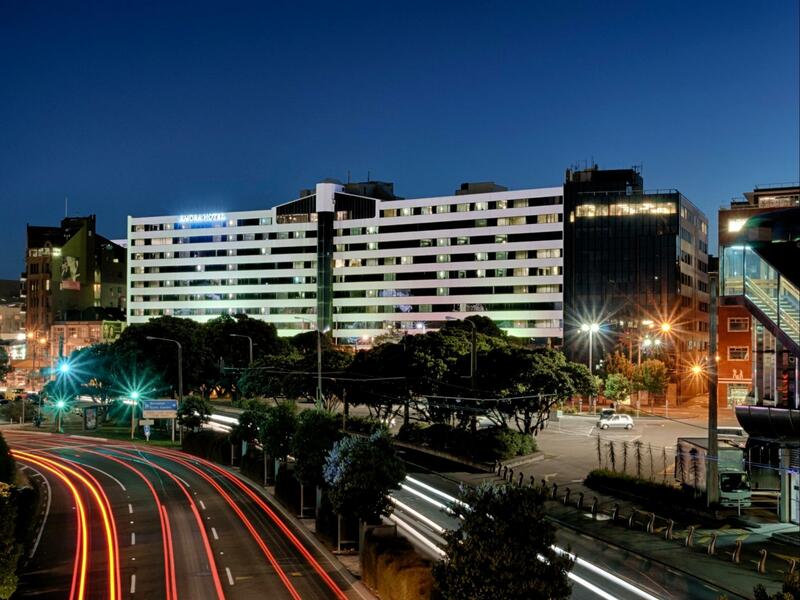 The hotel is located at the Wellington Waterfront. The main shopping area and restaurants are in the walking distance, Te Papa Museum is just across the street. The railway station is about 20mins walking distance. 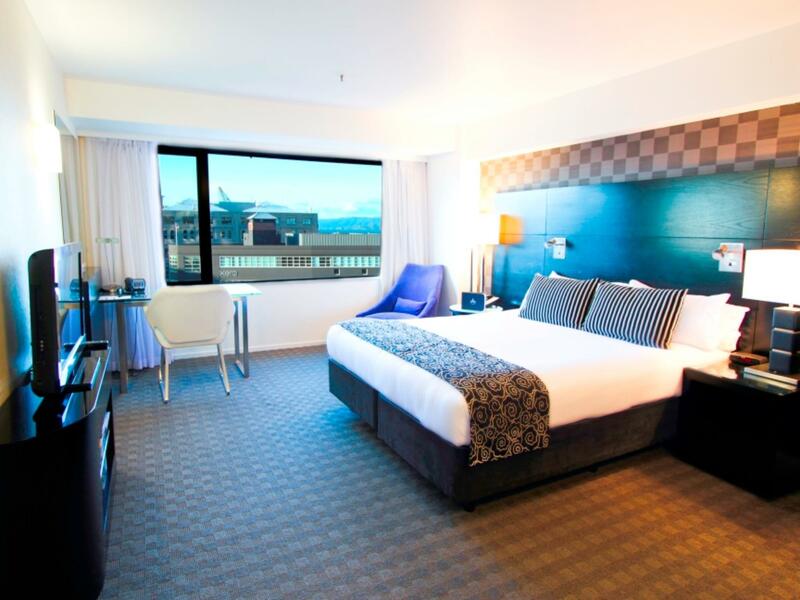 The room was clean and comfortable with amazing views over the Wellington Harbour. My room came with free Wifi which was an additional bonus. I stayed at this hotel while attending a conference in Wellington. The location was very convenient - only a block from the conference center and close to a large variety of dining and shopping. The hotel itself was above my expectations in every way. The room was large and very comfortable with a nice desk and free wi-fi so that I could get some work done while there. The staff was very helpful, the rooms were very clean, there was a nice view of the harbor from my room on the 8th floor. I ate at the bar a couple of nights, and the food was good but more expensive than going out to one of the many local restaurants. Overall, I would definitely recommend this hotel and plan to stay there again if I go back to Wellington. 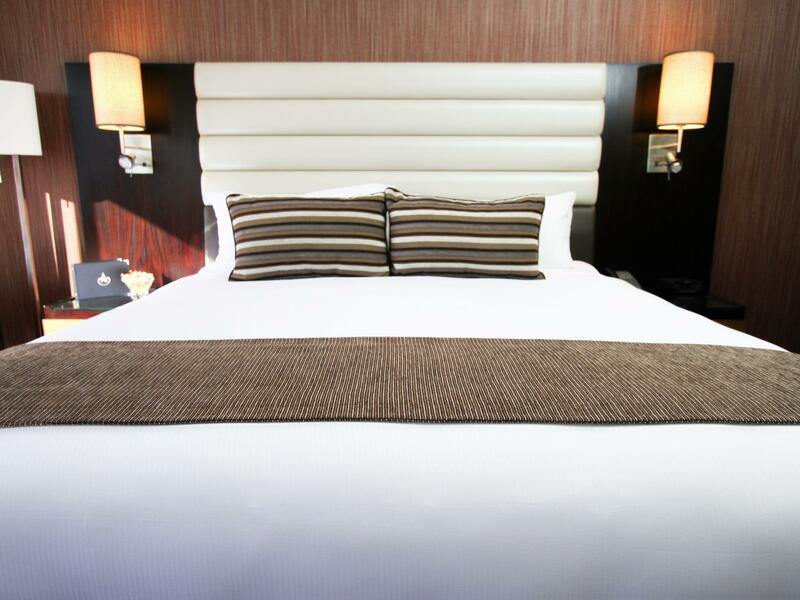 From the moment we arrived we received 5 star service which continued through our 2 day stay. The room was luxurious with a lovely water view. The food and service in the restaurant was excellent. I would recommend this hotel to anyone wanting a little luxury! Could not fault the reception that we (two individuals) received. Friendly greetings and the staff were prepared to provide a room immediately if we had wanted it (had arrived at 8 am) but that was not our expectation - only wanted to leave our luggage. We had a high tea on one afternoon of our two day stay - very obliging at our last minute request, attentiveness of all the dining staff and an exceptional variety of items to eat - they even packaged up what we couldn't eat for us to take to our room. Arrived back late from a show on another evening but provided a well prepared supper in their lounge area - again - excellent value in service and food. The front staff were knowledgeable about bus routes and other information about the area. Found the accommodation very easy walking distance to everything we wanted to attend. The features of the hotel are very welcoming but at the same time - very impressive. Almost forgot - we also spent an hour quietly reading in the beautifully furnished library space - with glass walls so could still see the rest of the hotel activity. Absolutely would stay there again - because of the facilities but probably more importantly because of the quality of the staff. The room was spacious and very comfortable. The location is extremely convenient. The staff were very accommodating. Spent the entire weekend in seminars in various rooms in the hotel. In general, all was excellent. One minor complaint. I am currently slightly handicapped, recovering from hip replacement surgery. We were given a "handicapped room", which was excellent. However the women's toilets, located on the mezzanine floor, does not have handicapped facilities. The simple addition of a handrail in one stall would be helpful.